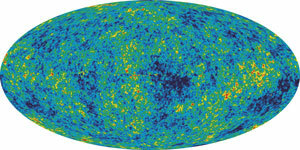 Satellite maps of the big bang? Figure 1. WMAP anisotropy map extracted from monopole component of the data. The dark and light spots represent small temperature variations. How well do the claims stack up? However, this year, an expert in radiology published two papers6,7 which prompted another8 in the journal Progress in Physics9 claiming that the analysis was flawed under standard radiological (analysis of radio waves) methodology. He argued that the maps contain no information of cosmological significance, certainly no information about the creation and history of the early universe. WMAP was not equipped with an instrument that could measure the absolute intensity of any microwave signal it might encounter. Whereas COBE not only took a differential radiometer, it also took an absolute spectrometer—FIRAS. WMAP was only equipped with a differential radiometer, which could only measure the differences in the signals coming from any two parts of the sky. So the data can never specify the equivalent temperature of any particular region of the cosmos. Figure 2. (A) Magnetic resonance image (MRI) of a human wrist acquired at 8 Tesla with a signal-to-noise (S/N) ratio of about 40/1. (B) The same MRI image as in (A) after the addition of random noise, resulting in a maximum S/N ratio of about 2.5/1. Clearly such low S/N impedes any sensible interpretation of the image. (From Robitaille6). The authors contrasted this with standard NMR spectroscopy, where papers would be laughed at if they tried to take data in the region of a highly dominant contaminant signal. For example, in measuring the 1 H NMR spectrum of samples dissolved in water, the signal from the protons in water itself is huge. So it would be an exercise in futility to try to measure signals from the sample around the same region. There are certainly techniques for removing this signal, but this means manipulating the signal at the source. Thus it is common to use heavy water that replaces protons with deuterons. But in the WMAP case, it is impossible to manipulate the source. The author shows that by taking different weighting factors in the linear combinations, a different null set, hence different maps of the universe, could be arrived at if the WMAP team had decided to emphasize a frequency band other than V band (61 GHz). 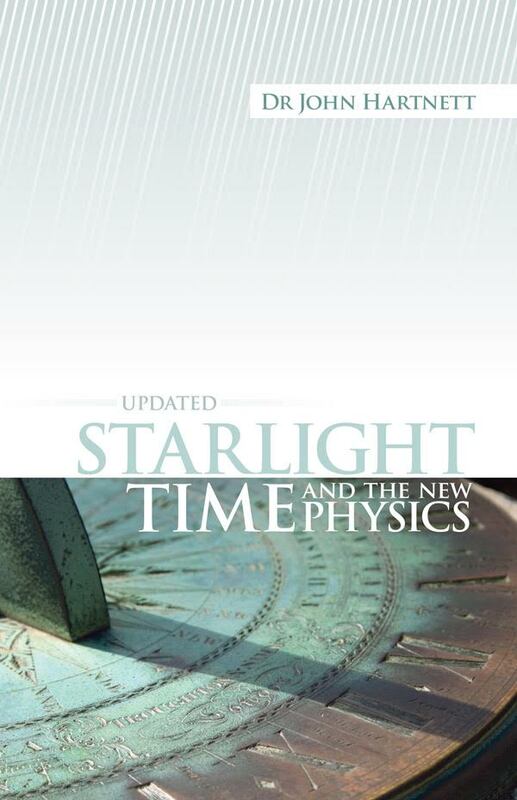 Also, for the analysis of the one-year data set and the three-year data set different weights were chosen, but that is not consistent with the assumption that the sought-after cosmological parameters are stationary in the timescale of the cosmos. An altered set of such parameters is likely the result of different data processing. Moreover, the requirement that the signals of cosmological significance are frequency independent has never been proven. He discusses from his own experience the problem of the formation of ghost images which result from the removal of powerful signals from weak signals. Because of the cleaning techniques used by the WMAP team it is highly likely that a significant portion of the maps contain spurious ghosts. Possibly the most disturbing aspect of the discussion is that when the data were made available, only one-year and three-year averages were published. And the three-year data contains the one-year data. Why is that? Why not publish each successive year, so high resolution difference maps can be made. The WMAP team only published the difference map of their one-and three-year sets, with decreased resolution. Very fishy! Of course the intention is to show that that map doesn’t change over time, but why the large pixels? Robitaille also makes the point that the WMAP data has no depth information—it only has information at most of the direction of the source. He says the maps resemble the 2-dimensional X-ray images in medicine. Therefore, by their very nature, these maps are incapable of supporting any model of the universe other than a 2-dimensional flat model. This confirms the findings of the NASA COBE satellite. Using the FIRAS instrument, COBE was able to determine a CMB monopole temperature as 2.730 ± 0.001 K and a dipole temperature of 2.717 ± 0.003 K.13 These temperatures are not overlapping and the FIRAS instrument had tremendous signal to noise. Hence the difference between these numbers remains highly significant at the 99% significance level. In short, only COBE was able to really measure the monopole temperature which the author claims can be attributed to specular reflection14 off the earth’s oceans. COBE was placed in a 900-km Earth orbit. WMAP, on the other hand, was placed at the second Lagrange point 1.5 million km from Earth, and because it had no absolute instrument, it could not make a direct monopole measurement. Its DMR (Differential Microwave Radiometer) is only sensitive to the weaker dipole term. The meaning of the different temperature from the dipole term is that our solar system is moving through space, which is bathed in a weak emission of microwave radiation—source unknown. And this is not the same source as the monopole term. Certainly after the future launch of the PLANCK satellite, which has both an absolute and a differential radiometer, any doubt can be resolved whether the monopole term comes from the earth or the cosmos. The WMAP satellite was developed by NASA Goddard. See map.gsfc.nasa.gov. Return to text. The COBE satellite was developed by NASA Goddard to measure the diffuse infrared and microwave radiation from the early universe to the limits set by our astrophysical environment. It was launched November 18, 1989 and carried three instruments, a Diffuse Infrared Background Experiment (DIRBE) to search for the cosmic infrared background radiation, a Differential Microwave Radiometer (DMR) to map the cosmic radiation sensitively, and a Far Infrared Absolute Spectrophotometer (FIRAS) to compare the spectrum of the cosmic microwave background radiation with a precise blackbody. Each COBE instrument yielded a major cosmological discovery. See <lambda.gsfc.nasa.gov/product/cobe/> Return to text. A dubious award—see Sarfati, J., Nobel Prize for alleged big bang proof, 7–8 October 2006. Return to text. 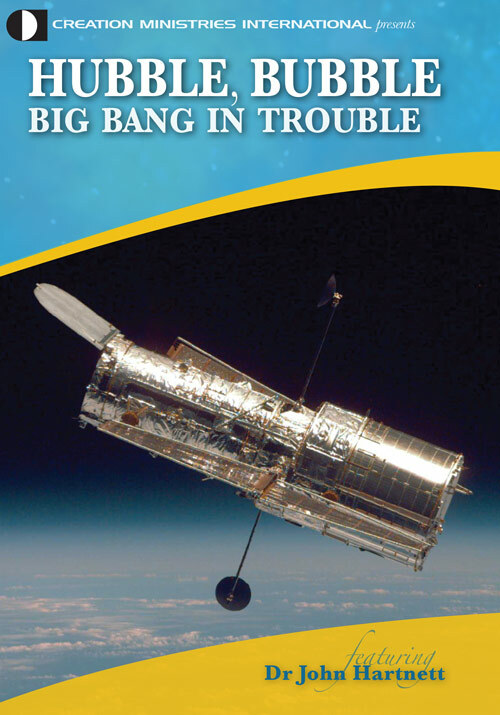 Ironically, just after this award, new discoveries show that the CMB can’t be from the big bang because they don’t cast the right shadows—see Hartnett, J., The Big Bang fails another test, Journal of Creation 20(3):15–16, 2006. Return to text. There is a not-so-subtle connection here with a need to support the ruling paradigm. The relative proportions of these exotic mass/energies that supposedly contribute to the state of the universe are needed such that the standard Friedmann model is not excluded. In short there is an a priori reason to believe the WMAP contains real information. Return to text. Robitaille, P-M, WMAP: A radiological analysis, Progress in Physics 1:3–18, January 2007. Return to text. 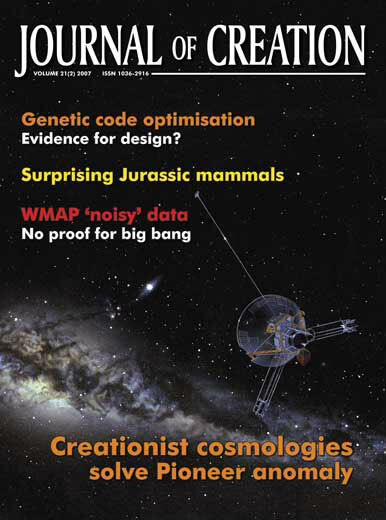 Robitaille, P-M, On the origins of the CMB: Insight from the COBE, WMAP, and Relikt-1 satellites, Progress in Physics 1:19–23, January 2007. Return to text. Rabounski, D, The relativistic effect of the deviation between the CMB temperatures obtained by the COBE satellite, Progress in Physics 1:24–26, January 2007. Return to text. This journal is not a first ranked journal but a web-based online-only journal, so some caution should be exercised as to the findings mentioned here. Nevertheless the research presented by the author seems reasonable, and he is an expert in the area of radiological data analysis. The main reason he could not publish in higher ranked journals is likely because of the controversial nature of the argument—overturning a recent Nobel award. However with the launch of the PLANCK satellite, the thesis can be tested. Return to text. Robitaille, ref. 6, pp. 6–7. Return to text. Robitaille, ref. 6, p. 8. Return to text. Robitaille, ref. 6, p. 15. Return to text. The monopole and dipole terms are the first and second terms of a multipole expansion. A multipole expansion is a series expansion of the effect produced by a given system in terms of an expansion parameter which becomes small as the distance away from the system increases. Return to text. Specular reflection means scattering from the surface of the ocean in this case. Some wavelengths are absorbed and some reflected. Return to text.